At Maria Elena, we offer all the usual treatments to brides but also offer a number of additional services and packages to make your day even more special. If what you are looking for is not on this webpage, please ask and we will try our best to accommodate your needs. Organising your wedding is one of the most stressful but enjoyable things you can do. However, brides nearly always leave often the most important things until it is nearly too late…skincare treatments, make-up and other beauty treatments. At Maria Elena we want to do everything we can to make the days leading up to and the wedding day as perfect and stress free as possible. At Maria Elena we have combined forces with Salon K to bring you the complete Bridal Package. Includes consultation, trial Hair-up plus Hair-up on the day, trial Make-up & Make-up on the day. Includes: pre wedding cut and blow dry, conditioning hair treatment with luxury head massage. Plus consultation, trial Hair-up plus Hair-up on the day. re wedding Brazilian keratin treatment, cut and blow dry, consultation, trial Hair-up plus Hair-up on the day, plus a shampoo and conditioner. 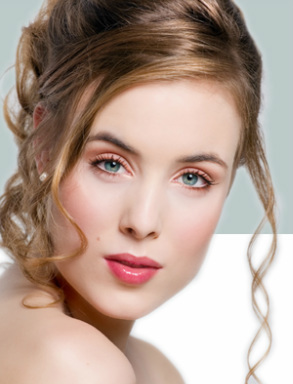 At Salon K they recognizes the importance of creating a hair style that's right for you, to ensure you look and feel fantastic on your wedding day. Includes consultation, trial Hair-up plus Hair-up on the day. Regular monthly facials will helps treat your skin's problems, whatever your skin type: oily, acne, sensitive, mature or dry - getting it perfect for your big day..
To add definition to your eyes, offering mink lashes which are very light, soft, flexible as well as our standard lashes for a thicker, fuller look< lasting up to 6 weeks. Perfectly shaped eyebrows will enhance the natural look of your eyes, accentuate your makeup and have an added bonus of giving you a mini face lift. 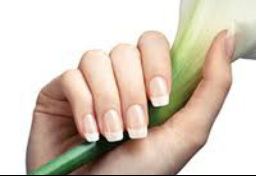 Get your nails perfect to show off your wedding ring, with a choice of gel nail extensions to lengthen , a gel manicure for chip free varnish.